The Gulf Shores City Council unanimously voted Jan. 12 to extend an agreement for staging the Hangout Beach, Music and Arts Festival on the grounds of the city’s public beach for at least five more years. In October of last year, the City Council unanimously passed an ordinance granting a conditional franchise agreement through 2020 however, the new amendment allows organizers to host the festival through 2025. 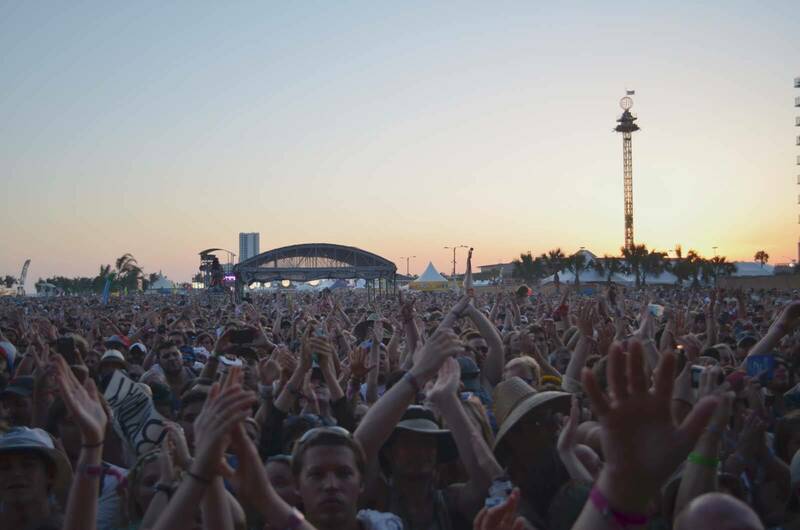 The sun sets on the final day of Hangout Fest 2014. The new amendment, dated Jan. 8, names a new festival co-owner, subsequently announced as California-based entertainment company Goldenvoice, and extends the franchise term 10 years versus five years, provides the flexibility to request an attendance modification in conjunction with the festival’s annual site plan application and amends Section 2.1(b) to provide the city of Gulf Shores additional leverage to ensure the festival compliments and preserves the family oriented image of its community. Notably, the agreement still calls for a franchise fee of 1 percent gross revenue beginning in 2017 and increases one percent each year until three percent is reached in 2019. 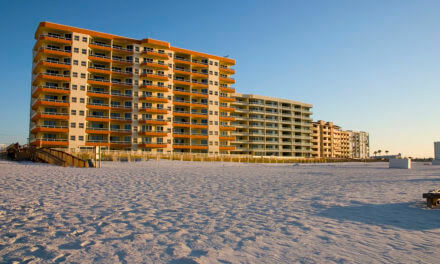 The three percent will continue through 2025, according to Grant Brown, director of recreation and cultural affairs for the City of Gulf Shores. “It’s capped at 3 percent through the extended five year addition,” he said. 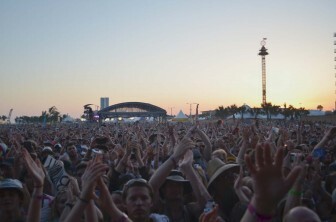 When Hangout Fest organizers announced this year’s lineup Jan. 12, the same day as the City Council meeting, there appeared to be mixed reactions from concertgoers, with some wondering if the ordinance might have played a role in which artists were booked to play the weekend-long festival. Without the rewording in the agreement, chances are Sonny Moore, better known by his moniker Skrillex, would not have landed a headlining position for this year’s festival, considering as many as 16 people were hospitalized for drug overdoses at one of his shows in Chicago this past October. Additionally, Damien “Jr. Gong” Marley’s name and genealogy alone conjures the idea of drug use. Not only has Marley admitted to inheriting his father Bob Marley’s love of smoking marijuana, but in 2011 LA Weekly named him as one of the top 10 bands to do drugs to at Coachella. Further, Major Lazer, an electronic act scheduled for this year’s Hangout Festival, have openly addressed the issue of drug use at festivals, calling for young people to be taught how to do drugs safely after multiple deaths were reported at New York’s Electric Zoo. According to Brown, the city does not actually approve the festival’s lineup beforehand, but they do have the ability to deny a renewal permit the following year if anything goes awry. The agreement still requires a site-plan application to be completed annually, which the City Council can deny or revoke based on all facets of the festival, including annual performance. “(The) franchise agreement has a 10-year life, but each year, the festival comes back for an annual permit,” Brown said. Furthermore, if the festival fails to perform or meet its obligations, the city will have the opportunity to review and potentially deny a permit for the following year, he added. Brown said Gulf Shores is putting a lot of faith in the festival’s new co-owner, Goldenvoice, which created California’s popular Coachella Valley Music & Arts Festival. Brown called Goldenvoice “a big fish in a big pond” and a “pretty impressive entertainment company” that will ultimately help Hangout Fest attract the biggest names in the music industry. Because the festival has grown tremendously since its start in 2010, Brown said founder Shaul Zislin began having a more difficult time attracting more popular artists. Brown added that with the support of Goldenvoice, artists will embrace Hangout Festival even more and the partnership will make for even greater experiences for the fans, artists and the Gulf Shores community in the future. “The city is adamant about the atmosphere that the festival will maintain,” he said.